This photo taken from Facebook shows sitar player Bijay Vaidya. KATHMANDU, April 2: Bijay Vaidya, a prominent sitar player of Nepal and former member of the renowned music band Sur Sudha, died on Sunday due to pneumonia. He was 52. Sources close to Vaidya said that the legendary sitar maestro, who had been kept in ventilator for the last 17 days, breathed his last at 11 am in Tribhuvan University Teaching Hospital, Maharajgunj. He was cremated at Pashupati Aryaghat at around 4 pm. His only son Chitz Vaidya, 17, lit the funeral pyre. Vaidya was also the founder of the fusion music band Rockstiar. 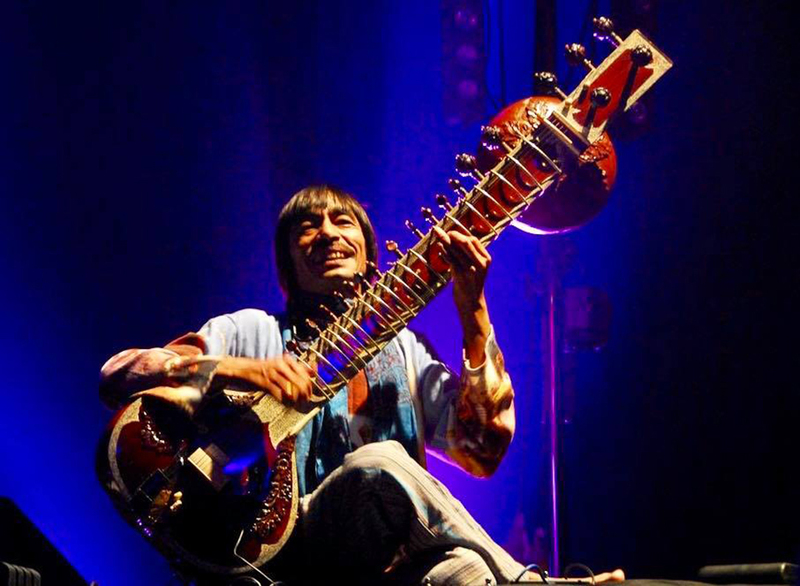 The sitar maestro was famous for innovating electric version of sitar to blend the eastern music to the taste of the western rock music enthusiasts. This helped the Nepali classical music reach out to the global audience. Moreover, he will be remembered for rekindling the eastern classical tunes in the hearts and souls of the youths through the fusion of eastern music with western rock and roll tune. Talking to Republica in a telephone conversation, musician and performing artist Salil Subedi shared that Vaidya was born in the post-Hippie era. 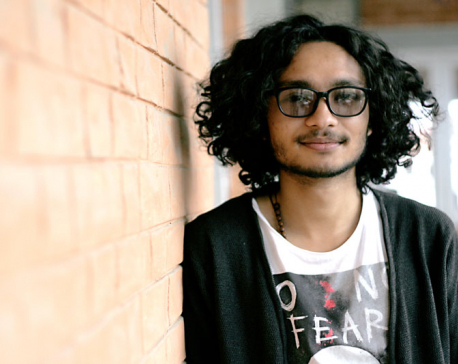 According to Subedi, Vaidya was influenced by western rock music though he had commenced his musical career as a semi-classical musician. “Indeed, he had plugged the sitar to make it like electric music. He had even played sitar with his teeth. He can be compared to Jimi Hendrix,” Subedi shared. “Bijay dai (brother) had also suffered from pneumonia four years ago. Back then, he recuperated after an expensive treatment. 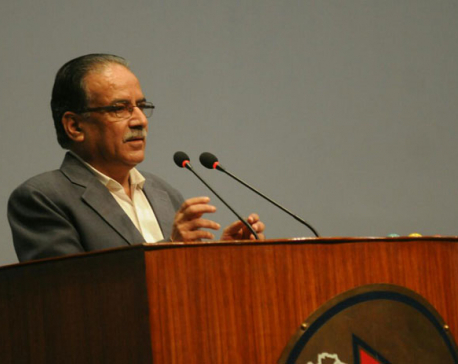 However, he had to sell his old house in Balaju to pay the debts,” Subedi added. “The highlight of his career was that he had played with French rock legend Louis Bertignac, who was also his best friend. He had also invited Bertignac to Nepal for ‘Rock Nepal’ concert between 2006 and 2007,” he further stated. “In the final days of his life, he lost his senses. While still in the ventilator, he wrote on a piece of paper to his dearest friend Louis Bertignac: ‘Save Me’,” Subedi posted on Facebook. Rajiv Shrestha, the current member of Sur Sudha, recalled his memories with Vaidya saying that he was a motivator who encouraged youths to indulge in classical music. “I was one of the students of his institution at Sur Sudha Music School, Kamalidi in 1998. At that time, Sur Sudha was very much renowned and the band often went for international tours. He sometimes visited the music school. The albums of the band are still available at CD shops of Thamel,” Shrestha said.